The Elektro-L spacecraft was designed to give Russian meteorologists the ability to watch the entire disk of the planet, thanks to the satellite's position in the geostationary orbit 36,000 kilometers above the Equator. Reaching space in 2011, Elektro-L No. 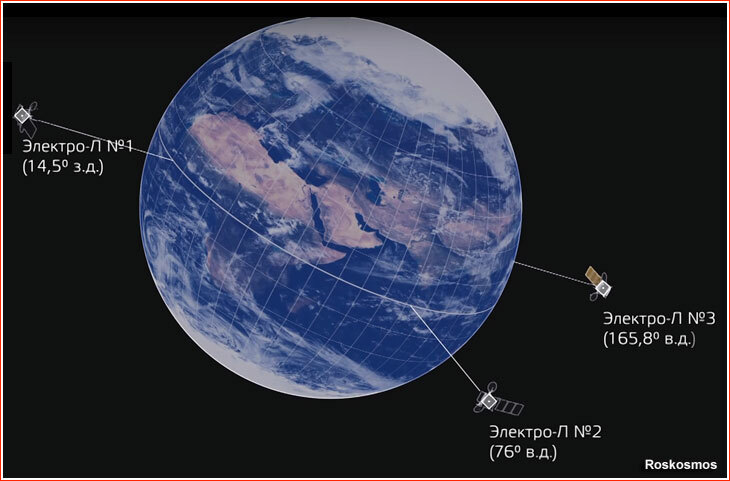 1 became only the second Russian meteorological satellite at this vantage point since the launch of Elektro-1 in 1994. Designed to function in orbit for a decade, Elektro-L allowed local and global weather forecasting, analysis of oceanic conditions, as well as "space weather" monitoring, such as measurements of solar radiation, properties of Earth's ionosphere and its magnetic field. Even more importantly than its primary mission, the Elektro-L project promised to pave the way to a whole new generation of advanced Russian spacecraft, first of all sophisticated space observatories such as Spektr-R, Spektr-RG, and Spektr-UF, which would be based on the same platform dubbed Navigator. Other spacecraft using similar hardware were likely to follow. 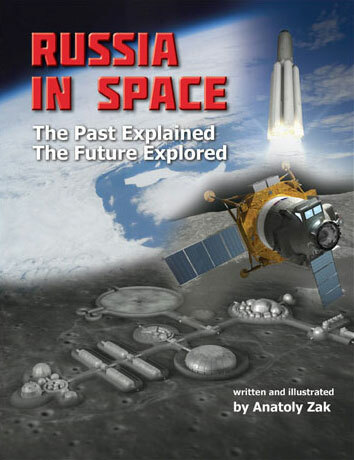 Unlike most of Russian spacecraft flying at the time, the Elektro-L/Navigator project was conceived and developed after the disintegration of the Soviet Union, thus marking the reemergence of the nation's space industry after two decades of economic turmoil. The launch of the first Elektro-L also validated a brand-new version of the powerful Zenit rocket and the upgraded Fregat upper stage. 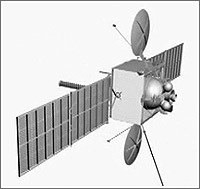 During the following decade, the Zenit/Fregat-SB combination promises to carry Russia's most critical space exploration missions, starting with the launch of the Phobos-Grunt spacecraft toward Mars. As of 1993, there were plans to launch two Elektro satellites, with the first bird taking position at 76 East longitude over the Equator. However due to the Russian economic troubles of the 1990s, only one Elektro satellite flew in 1994. By that time, US, Japanese and European meteorological satellites already worked in geostationary orbit. 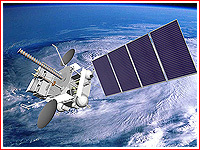 The first Elektro satellite stopped functioning in 1998, leaving Russia without crucial meteorological data. 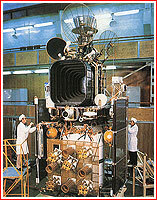 In 2001, the Russian government awarded a new contract for the second-generation meteorological satellites to NPO Lavochkin. The project was dubbed Elektro-L, where "L" signified a version of the satellite proposed by Lavochkin. Russia's meteorological service, Rosgidromet, served as the main customer of the satellite's data. The first launch was expected in 2006. Lavochkin originally planned to bring the satellite into a geostationary orbit with the help of the lunar gravitational field, by sending the spacecraft on a long loop around the Moon. In the following decade, the project went through another evolution, adopting the company's Navigator platform as a base for its architecture sometimes around 2004. The modular architecture of the satellite was designed to work in the vacuum of space. The launch of Elektro-L would become the first test flight for Navigator, followed by more complex missions, such as Spektr-R (Radioastron), Spektr-RG and Spektr-UF orbital observatories. 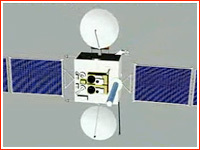 As of 2007, a total of three Elektro-L spacecraft were promised to be launched. The Elektro-L No. 2 satellite was expected to be stationed in the geostationary orbit at 14.5 West longitude. The main payload of the satellite would be a special scanner with a 20-degree angle of view, designated MSU-GS, capable of obtaining images in the visible and infrared ranges of the spectrum. From the height of its geostationary orbit, its angle of view would be enough to watch the entire disk of the Earth. Visible and infrared components of the imager were promised to have a resolution of one and four kilometers respectively and be capable of producing images every 30 minutes. For support in emergency situations, images could be snapped as fast as one in 10-15 minutes. 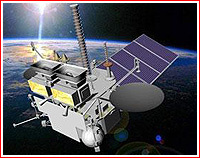 As an additional payload, Elektro-L would carry a "heliophysical" complex GGAK-E developed by the Science monitoring center at Roskosmos in cooperation with the Applied geophysics institute of the Russian meteorological center (Rosgidromet) and the Nuclear physics institute at Moscow State University, NIIYaF MGU. The system was designed to monitor several properties of solar radiation and channel this data to the satellite's communication gear for transmission to Earth. Finally, the spacecraft was to be equipped with a communication payload developed by the Pilyugin center. It was intended for meteorological data exchange between the main center in Moscow and regional meteorological facilities in Novosibirsk and Khabarovsk in Russia's Far East. The data could be transmitted both ways with a rate of 15.36 Mbits per second at a frequency of 8.2/7.5 GHz. The same payload could also pick data every three hours from up to 800 meteorological platforms spread around Russian territory or in the ocean at a frequency of 0.4/1.7 GHz. Finally, this package could pick and relay to Earth signals from KOSPAS-SARSAT emergency rescue systems at a frequency of 0.4/1.54 GHz. During the development of the satellite, NPO Lavochkin faced unexpected limitations on the payload mass available for the mission. An engine which was supplied for the Fregat-SB upper stage had lower performance characteristics than originally expected. Also, NPO Yuzhnoe, the manufacturer of the Zenit rocket, was not able to implement a flight profile, where Zenit's engines would burn all the way till complete expenditure of one of its propellant components. As a result, the final mass of the Elektro-L satellite in the geostationary orbit had to be reduced from originally projected 1,900 kilograms to 1,766 kilograms. NPO Lavochkin met this limit mainly by reducing the propellant load onboard Elektro-L. This measure reduced the time period during the lifetime of the satellite, when mission control could adjust a gradual increase in the satellite's orbital inclination. As a result after the expenditure of onboard propellant, Elektro-L's orbital plane was expected to start drifting away from the equatorial plane of the Earth by around one degree per year. From the outset of the Elektro-L program, up to three satellites had been planned within the series. Together, they would finally fill all three available positions in the geostationary orbit: 14.5 West, 76 East and 165.8 East longitude, with corresponding ground control stations of the Rosgidromet weather agency in Moscow, Novosibirsk and Khabarovsk. Elektro-L No. 4, with the original launch date in 2017, and the fifth satellite, were also on the books, with their launches expected in the first half of 2010s. The two latter satellites had a goal of replacing the earlier satellites, before the more advanced trio of the spacecraft, known as Elektro-M, could be introduced in 2019 and 2020, according to plans circa 2014. By 2016, the prospects for launching the first Elektro-M slipped beyond 2020. At the time of the Elektro-L2 launch in December 2015, the third satellite was promised to fly at the end of 2016 or the beginning of 2017. Two follow-on Elektro-L satellites (No. 4 and No. 5) were promised in 2019 and 2020 respectively. By 2017, the launches of Elektro-L No. 4 and No. 5 were postponed until 2021 and 2022, respectively. In October 2018, NPO Lavochkin said that the fourth and fifth spacecraft would have to be "delivered" to the launch site in November 2021 and 2022, respectively, probably implying that their actual launches could shift to 2022 and 2023. In 2012, plans surfaced for a pair of new-generation satellites designated Elektro-VO. At the time, they were promised to be launched at the end of 2015 and beginning of 2016, however this schedule could not be sustained.